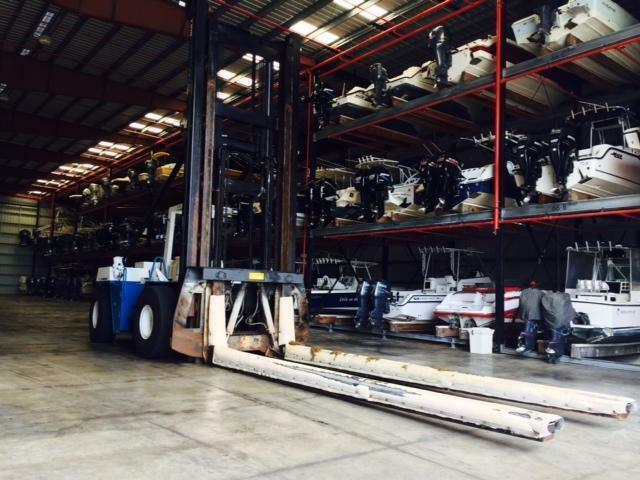 A great boat storage facility in the Keys with unlimited in and out service . Full service marina. Very well managed. Close access to the Gulf side through the Vaca Cut bridge.Safe storage for your boat in a metal building rated for 155 MPH winds. Gas dock, boat ramp and pool. Length 33.6', width 9.8', max height 7.6'. Marina personnel must accompany visitors. Listing courtesy of Ginger C Henderson, Broker of American Caribbean Real Estate - Middle Keys.